By Shelley Farrar Stoakes, M.Sc., B.Sc.Reviewed by Dr. Tomislav Meštrović, MD, Ph.D.
A microarray is a two-dimensional arrangement of biological samples allowing for high-throughput analysis of genetic information. DNA microarrays are commonly used to genotype multiple regions of a genome or to generate lists of expressed genes from a cell. Microarray technology allows for the multiple analysis of gene expression in a single reaction. While DNA microarrays are the most common, there is increasing utilization of protein, peptide and glycan microarrays. Samples are arranged on the array in spots of less than 200 micrometers in diameter. Each array can contain thousands of spots neatly ordered into rows and columns, and each spot represents one gene. The spotted samples are called probes and are traditionally placed on a support consisting of materials such as glass slides, silicon-thin chips or nylon membranes. Bead arrays are also being used where the arrangement is comprised of microscopic polystyrene beads, each forming a specific probe. Individual samples can be identified by their placement on the array as the orderly arrangement of spotted samples on a solid structure provides an easily determined location for each gene being analyzed. The location of the gene is then recorded onto a computer database. As each sample spot holds a different gene, the cDNA will only bind to spots that hold specific genes with complimentary base pairs. The bound cDNA indicates a gene that is expressed because the complimentary partner strands are already within the microarray. Any unbound cDNA can be washed off the microarray so only the bound, fluorescently-labeled cDNA molecules remain. The microarray can then be scanned by a laser in order to detect the fluorescent label of bound cDNA molecules. The laser 'lights up' the fluorescently-labeled cDNA, marking the location of the gene that is expressed. The orderly arrangement of the microarray means that the gene can be easily identified. The computer detecting the light signals produced by the laser can also analyze the intensity of the fluorescent signals. This means that the amount of original mRNA within the sample can also be estimated. Microarrays can be manufactured to different sizes with the number of probes on a microarray ranging from ten to five million. 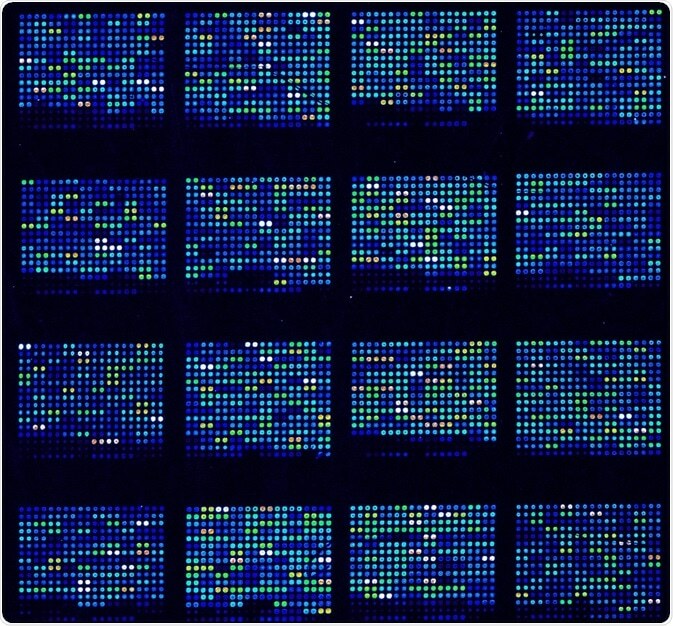 The fabrication of microarrays, particularly how the probes are synthesized, can differ depending on whether a spotted microarray or an oligonucleotide microarray is used. Spotted microarrays have pre-produced probes prior to deposition on the array which are added to the array spots through the use of fine needles. The needles are controlled by a robotic arm and transfer the DNA probes from wells onto the array surface. The advantage of spotted microarrays is that they can be easily produced and are therefore customizable for different experiments. Probes can be chosen and synthesized within the laboratory, generating labeled samples with equipment already on site. This avoids the cost of purchasing expensive commercial arrays. Oligonucleotide microarrays is the name used to describe a specific way of manufacturing probes for an array by producing short oligonucleotide sequences which represent a gene. This sequence is synthesized directly onto the array. The commercial oligonucleotide microarrays have the advantage of having a higher level of sensitivity produced through larger batch sizes and greater printing capacity in comparison to spotted arrays formed 'in-house'. 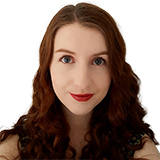 Shelley has a Master's degree in Human Evolution from the University of Liverpool and is currently working on her Ph.D, researching comparative primate and human skeletal anatomy. She is passionate about science communication with a particular focus on reporting the latest science news and discoveries to a broad audience. Outside of her research and science writing, Shelley enjoys reading, discovering new bands in her home city and going on long dog walks.